Grant G. Zielinski is a certified divorce financial analyst (CDFA) at Divorce Financial Solutions, LLC in Milwaukee, Wis. Grant and his father, Garrick Zielinski, created Divorce Financial Solutions, LLC in 2005 to help attorneys and their clients make well-informed financial decisions incident to divorce. Grant has been involved in the drafting of over 5,000 Qualified Domestic Relation Orders (QDRO) and has personally provided over 2,000 pension valuations to attorneys and their clients. 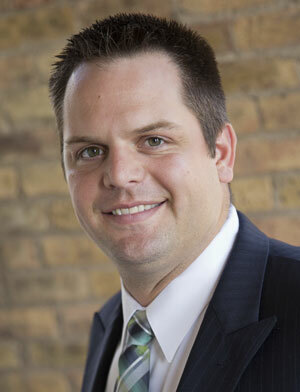 Grant specializes in the evaluation and division of Military Retirement and Wisconsin Retirement System. In addition to QDROs and pension valuations, Grant also worked as a neutral financial specialist in collaborative and mediation cases to educate clients on financial matters such as tax issues, maintenance, child support, and property division incident to divorce. Grant received his bachelor’s degree from the University of Northern Iowa in 2006, where he played collegiate football for four years. He also serves on the board of the Collaborative Family Law Council of Wisconsin (CFLCW) and member of the Wisconsin Association of Mediators (WAM).